A tsunami warning issued after a 6.8 magnitude quake struck off Sulawesi island in Indonesia has been lifted, the country's geophysics agency said. Indonesia suffered its highest death toll in natural disasters in more than a decade last year, following two major tsunamis and several earthquakes, with more than 3,000 killed in Palu, also in Central Sulawesi, the site of Friday's earthquake. "It is clear that the quake has tsunami potential," geophysics agency spokesman Taufan Maulana had said. "Residents are advised to evacuate as soon possible." The agency was monitoring for high waves as the quake had the potential to trigger a tsunami, it added. There were no immediate reports of damage or casualties from the quake, which hit 280 km south of the province of Gorontalo at a depth of 43 km, the agency added. 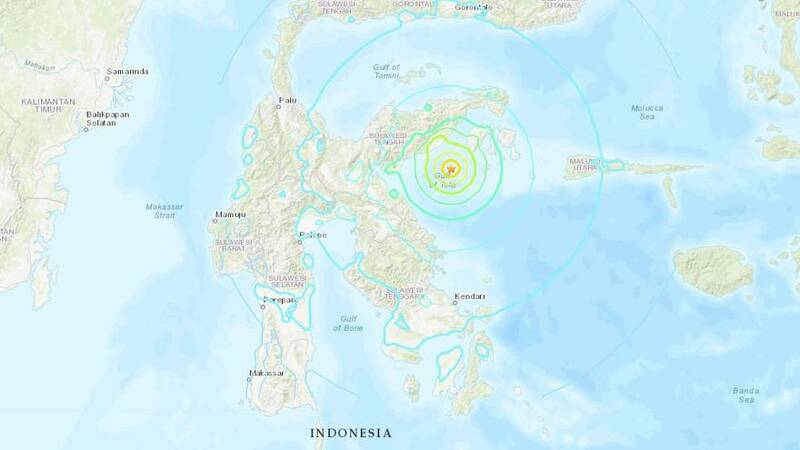 The quake was "strong and long lasting," Gina Saerang, a resident of Manado, the capital of North Sulawesi province, several hundred kilometers from the epicenter, said on social media.